What is the most important valve in your home? The main water shutoff valve! The main water shut off valve is what controls all the water flow into your home. If you experience a leak of any kind, run right to it and shut it off! Don’t wait to investigate where a leak is coming from first, you really want to stop water flow immediately at the first sign of a leak. Once the water flow has stopped, search for the source of the problem and call a plumbing professional to get it fixed ASAP. Also, when you are going out of town for a few days, we advise people to shut off your water at this valve! If something were to occur like some water emergency or leak and you are not home to stop it, it could be a disaster! Even a little pinhole in something like a small icemaker line can destroy your home if you are away! 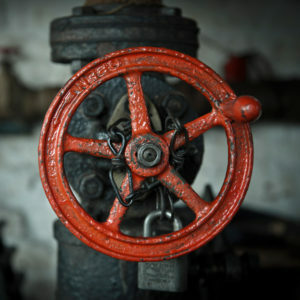 Another thing to consider, if you have an older home, you will often find something called a gate valve in your home. 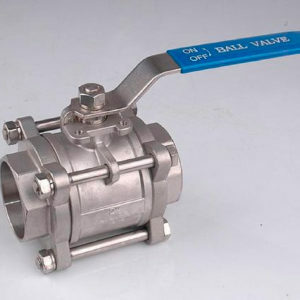 This valve has round handles, and this type of valve fails often. One simple thing to do is consider installing a newer valve called a Ball Valve. This type of valve is much easier to use. If you are in the midst of a plumbing emergency, every minute counts. A Ball Valve is very easy to use and allows you to turn off your water in seconds. This could end up saving you thousands of dollars if you ever needed to use it! Call us if you would like a new valve installed. It’s a simple inexpensive preventative thing we can do that could end up saving you a lot of money! What you need to know about cold weather and frozen pipes →← Are you wasting money on your water bill?